When we hear the word HOLIDAY, we all get a big smile across our faces. Generally speaking, holidays mean that someone somewhere is getting some time off. From work, from school…its generally a day to sit back, relax, not follow your normal schedule or routine. Holidays are also times when we take off to ‘celebrate’ something or someone. The term ‘holiday’ was derived from the holy days mentioned in the scriptures. The holy days were festivals ordained BY GOD that the Israelites were to celebrate. The original holidays in the scriptures ALL centered around ONE GOD and He is known by many names: Yahweh, Elohim, Adonai. In Judaism, observance of these festivals/holy days/holidays were required by the Torah, (or the Old Testament). But in the New Testament, any religious/obligatory observance of these festivals were nullified by the presence of Jesus Christ. One of the tricks of the enemy is to keep people bound to religious traditions that no longer are of no effect or consequence. Just like today’s churches tell people that in order to used of God, one must wear clergy, go through elaborate ceremonies and receive accreditation from man, this was also done and instituted in the Old Testament. And what many today do not realize is that none of the pomp and circumstance we see in many ordination, affirmation and consecration services are NO LONGER necessary! One of the ways the enemy has succeeded in getting the ‘laity,’ for lack of a better word, to comply with and, thus, worship other gods is in the observance of holidays. Most of the present-day holidays we recognize today are pagan in nature. 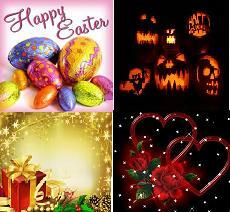 These holidays were substituted in place of the original holy day festivals by the Roman Catholic church. God vehemently forbids His People to commit idolatry. And when those who say they are saved ignore instruction and take on the customs and practices of those who are not saved, they are committing idolatry. Now, I know. A lot of us don’t get the big deal about idolatry. I do believe this is because if they are a part of the institutionalized church system, they have ALREADY become desensitized to idolatry. They commit idolatry EVERY WEEK when they attend services. Every time they have a pastor’s anniversary service or celebrate 1st lady’s week, they are committing idolatry. Every time they ‘honor’ their pastor, they are committing idolatry. So it comes real easy for professing Christians to commit more idolatry by celebrating ‘holidays,’ such as Valentine’s Day, or Easter, or Christmas. They have had much practice all year long! THIS HAS BEEN THE TRAP OF THE ENEMY! To get people into the church system and desensitize them to idolatry. I just want you to think on this for a minute. Flesh starts riling up right before V Day. A LOT of people are getting laid tonight. That is no accident. The SPIRIT behind Valentine’s Day is one of LUST. So YES…if you are observing Valentine’s Day-married or single-expect an attack of lust to come your way. Folks are also the most hypocritical this time of year. The same folks that go to work on Wall Street every day and step over a homeless guy without even acknowledging him will get all philanthropic and giving in December and decide to give to the homeless…ONE TIME that year! As if the homeless only need help ONE TIME per year! I want you to observe the SPIRIT that is in the air today…and right before your next so-called holiday. I can promise you: it is one that is NOT OF GOD. Because another god is being worshipped. And when you worship other gods, there is no peace, no fruit, no love, nothing. You just wasted your money, got in trouble and invited demons into your life. We are about half way through Black History Month. We have celebrated Dr. Martin Luther King’s birthday (most of us). And in light of that, I want to ask you all-blacks and whites alike-a question. No, not from racism. Anyone with two eyes and two ears can honestly see that we still have a long way to go before racism is totally eradicated in this country. No, what I want to know is are you free….FROM RELIGION???? During slavery, the slaves had a very poor diet. According to several writings from actual slaves, a slaves’ diet included molasses, chitlins, hamhocks, corn meal, Indian corn, black-eyed peas, very little vegetables or fish, and some birds. Whatever their masters in the plantation did not want or threw away, THAT is what the slaves consumed…them and their children. I got this analogy of the church being likened to a plantation during slavery from my friends over at the Church Folk Revolution (thanks, btw!). As I sat and pondered on this for a while, the similarities between the institutionalized church and the plantations where slaves were oppressed became more obvious to me. Just like the slaves on those plantations starved and were overworked, oppressed, and poorly fed, so are congregants who go to these churches (sad to say, mostly the congregants who go to predominantly black congregations) not being properly nourished. They are fed spiritual chitlins and hog, hammocks and throwaway scraps. Well, just like chitlins in the natural are stink, have no nutritional value…even though they are quite fulfilling and satisfying. So are MOST of the teachings that go forth in the institutionalized church are nothing more than spiritual chitlins. They STINK in the nostrils of GOD, they yield NO spiritual or eternal value…even though they do serve to appease the hearers…albeit temporarily. 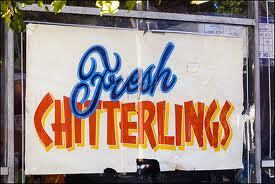 Well, according to the NY Health Department, eating chitlins (which are nothing more than a pig’s small intestines!) can present dangers to one’s health. There is a risk of contracting E. Coli, Salmonella, and what’s known as yersinia, a bacterial infection that causes diarrhea, fever, and severe abdominal cramps that feel like appendicitis. Not to mention what the long-term effects are of such a diet. Chitlins are high in cholesterol, which can lead to high blood pressure and heart disease. But people who are ‘slaves’ to the institutionalized church system-religious plantations, I call them-THEY have a CHOICE! Your pastor/massa is serving you SPIRITUAL CHITLINS every week…and because it’s traditional, and it tastes good to you, you don’t see anything wrong with it! There is that stench in the air…but it’s only noticeable to those who walk up in your building for the first time. The funk hits them in the face as soon as they enter the doors of your church. Its slaps them in the face! And while they are holding their noses almost wanting to puke, fanning their faces, trying to figure out ‘What IS that smell?’ You are sitting there, waiting on your next serving of SPIRITUAL CHITLINS! And then you get offended when those visitors don’t come back anymore! We hear folks talk about nobody’s getting saved in church anymore, that saved folks are just migrating from church to church, house to house. I have to agree with this: except what’s happening is that saints/slaves are starving. They are tired of their steady diet of spiritual chitlins and hammocks, smothered in spiritual cornbread and molasses. The chitlins have passed for the meat of the word, and the pastors/massas have made it palatable and tasty for you by including hefty side orders of spiritual cornbread and molasses, to sweeten it for you. To make the so called ‘meat-of-the-word’ they are peddling go down easier. Just like when mama used to make that corn bread with that red beans and rice…a lot of times, she wouldn’t even use rice. She would just eat the beans with corn bread, in her own words, to make the beans go down easier! Pastors/Massas for generations has gotten away with feeding the slaves, oops…excuse me, saints, chitlins, greens, red beans and corn bread. And the saints saw nothing wrong with it for a long time. But as more and more slaves/saints start getting spiritually sick from their steady diets of death and scraps, more and more of others slaves are taking a stand. In their minds, their ‘stand’ is to go to another church. It is a major accomplishment in the minds of those saints ‘who smell the funk’ in their old churches for them to pick up and move somewhere else. Creflo even called them NEGROES at about 1 minute and 40 seconds or so into this video! The above video looks SO much like a scene out of the movie ROOTS when a slave ran away to another massa’s plantation who seemed to be nicer or kinder to the slaves. 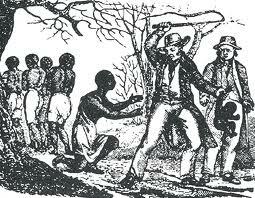 And that massa would rebuke that slave for running away to his plantation-that slave might get a lashing or two before being returned to his original master. It’s so time to WAKE UP! If you go the institutionalized church, you are in SLAVERY! And ALL the pastors/massas (YES, YOUR PASTOR, TOO!) work together to KEEP you that way! What a sad state to be in, especially as so many celebrate Black History Month, claiming to be free. Yet, in actuality, you are yet STILL SLAVES, feeding on SPIRITUAL CHITLINS! If you want to get off the plantation once and for all, and get fed some spiritually sound and healthy food, start by clicking here.